Ucraft and Squarespace are two popular and quite powerful website builders, which are mainly used for commercial web building purposes. Whether you need to launch a business website, a landing page, a portfolio, an online store or any other website type, the systems will help you complete the task on a decent level. Ucraft is a nice choice for users of all expertise and skillfulness levels. Squarespace is much older than Ucraft (it was launched around 15 years ago) and it mainly targets online retailers, small-to-large businesses and creatives, who plan to build reliable web presence. It also allows launching eCommerce websites. Regardless of the superficial similarity of the platforms, they are quite versatile and each of them has much to offer its target audience. So, the question is: what service works best for your needs and which of them offers a more extensive feature set? To find that out, it makes sense to analyze both platforms in details. This is exactly what we are going to do right now. Ucraft. Ucraft is easy to explore and master. You won’t face serious problems, when using the website builder. The registration process is simple and quick as well as the web design procedure itself. By following easy steps, you can get a full-featured website, even if your web design skills leave much to be desired. The developers of the website builder have taken care of the needs of newbies by subdividing all the features into several categories. Their purpose and designation are obvious from their titles. You can easily get used to the dashboard and interface of the system, even if you visit it for the first time. The website builder has stylish and contemporary look, which creates positive impression upon users. Squarespace. 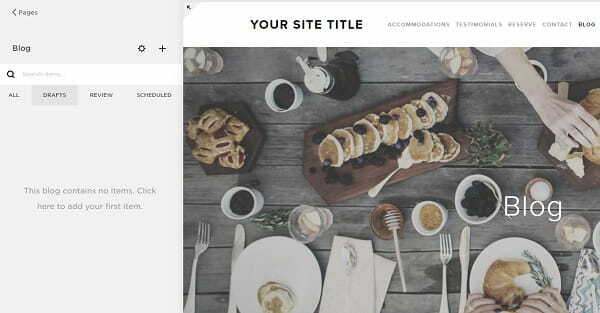 Squarespace ensures ease of use and allows designing websites in a smooth and hassle-free way. Its interface may seem a bit complicated for newbies, but you will get used to it in no time.The same is about the dashboard, which is less intuitive and understandable than that of Ucraft. Squarespace menu is user-friendly and simple, though. It comes with several sections, each of which provides a choice of specific options. Ucraft vs Squarespace. Both systems are logically-structured, intuitive and convenient. They allow building different types of websites, making use of a broad set of features and design customization options. Ucraft, is somewhat simpler and more understandable for users with zero experience and web design skills. Squarespace requires more time to be mastered properly. This is what makes it a better choice for more experienced users, who need quick and surefire result. At the same time, the service offers a powerful knowledge base for users, who lack skills and intend to explore it well on their own. Ucraft. Ucraft comes with a drag-and-drop website editor, which allows controlling each stage of the web building process. This is what makes the service a nice tool for users with diverse web design background. Apart from creating websites, the platform also makes it possible to launch several language versions of a website due to the multilingual tool it offers. Another highlight of the website builder is its powerful eCommerce and blogging platforms. The first one allows launching and promoting online stores, while the second one lets you build a full-featured and attractive blog. The website builder has also distinguished itself as a service used to design visually appealing websites that attract user attention right from the start. It comes with a set of Designer Tools and options. The tools include UI Kit options, Typography Adjustment and Layout Development. They can notably enhance the way a website looks. Ucraft Logo Maker is another feature, which contributes to the popularity of the system. By using it, you can create a killer company logo out of a set of icons. It is also possible to upload your own logo and customize it, if needed. One of the major Ucraft highlights is its free Landing Page creator, which helps launch a quality landing page effortlessly and in no time.If you plan to add a news section or a blog to your website, Ucraft Articles App will help you complete the task in no time. The White Label feature is mostly oriented on freelancers, entrepreneurs and web design agencies, which intend to start their own website builder business. Squarespace. 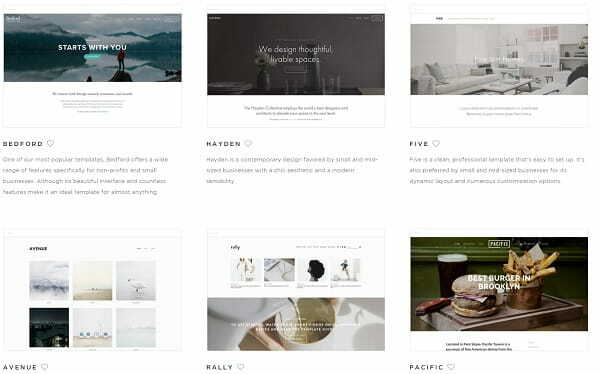 Squarespace is also a full-featured website builder, which allows launching simple and complicated projects. It can boast a rich set of Android and iOS apps, which notably expand your web design options. These include advanced blogging and eCommerce engines, Portfolio, Metrics and what not. The apps add functionality to any website created with the system. Among the actions you can do here, it makes sense to mention an opportunity to write and publish posts, create and manage product lists, set up shipping and payment options, personalize user accounts. 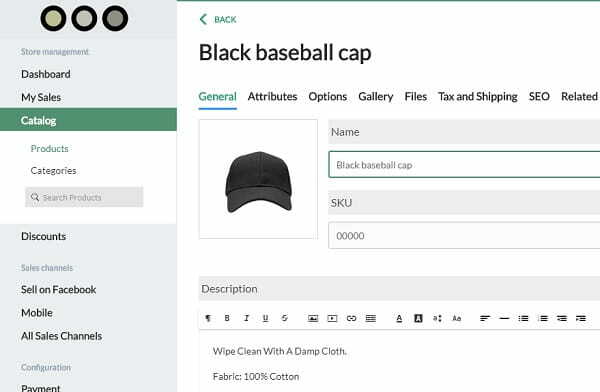 You will also be able to make use of a set of inventory tracking tools, coupons, upload of physical and digital products, express checkout mode, abandoned checkout recovery, the use of multiple currency types, PayPal and Stripe integration etc. The system offers an advanced Form Builder Tool with multiple options and fields needed to create an online form of your choice.Building a mobile-ready website is not a problem with Squarespace. It offers an opportunity to choose between a number of scalable integrated images, which will easily adjust both to desktop and mobile screens. Among the other features, which make the website builder stand out from the crowd, it makes sense to mention an opportunity to add several contributors, transport a newly created blog to another website, use export/import options etc. Squarespace has built partnership relations with multiple world-known companies. The most popular of them include Etsy, Disqus, BookingBug, PayPal, Typekit, MailChimp and more. The system is also SEO-friendly. It offers a set of integrated tools for better and more effective website search engine optimization. Some of these tools include automatic sitemap generation, distinct HTML markup, SSL certification, friendly URLs for website pages, meta tags, Google statistics collection and other features needed to promote your website and generate traffic. Ucraft vs Squarespace. When it comes to the feature set, both systems have much to offer. Ucraft stands out from the crowd due to its Designer Tools, Logo Maker, Articles App and White Label option. 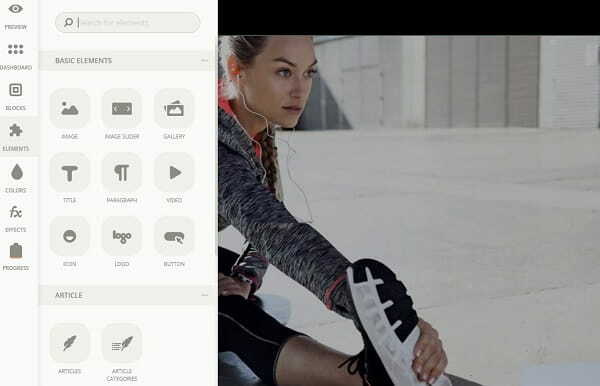 Squarespace, in its turn, can boast a more powerful eCommerce engine, which comes with an extensive range of options required to launch and manage a successful web store. It also has world-known partners, such as BookingBug, Etsy, PayPal, Disqus, Typekit, MailChimp etc. Integration with these services cannot but boosts website performance and popularity. Apart from that, both website builders allow launching blogs and are search engine-friendly. Ucraft. Ucraft designs are remarkable and professional. All in all, the system offers 73 templates, which are sorted by industry for great convenience and ease of use. Whether you plan to launch a blog, a landing page, a business website, a portfolio or any other website type, you will certainly find a suitable theme with simple customization. Ucraft templates feature high quality, excellent design, full-screen formats. They are responsive by default. This means that your website will automatically adjust both to desktop and mobile screens.The templates come with niche-specific content you can further replace with that of your own. Whatever template you will go for, you can use a preview option to see it in details and read its description. If you expect a higher design customization degree, Ucraft Designer Tools are always at hand. Squarespace. Squarespace designs are also spectacular and worth the attention. They were created by the system developers and, thus, feature high quality and customization options. 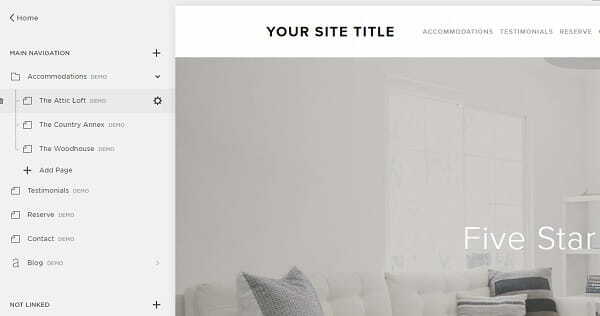 The website builder currently offers 67 templates, which are easy-to-navigate, browse and customize.The themes also fall into industry-specific categories and you can use them at no cost at all. Each theme comes with responsive design, clear layout, rich image gallery, refined fonts and styles. If you feel that a template doesn’t match your business specification for some reason, you can change it without the loss of content. That’s definitely a benefit. Users with web design skills can also make use of CSS editing option to give their websites personalized look. Ucraft vs Squarespace. Template choice is impressive in both website builders. They feature high quality, come with multiple design customization tools and are responsive by default. Both services offer a preview option, making it simpler to see how your website will look on desktop and mobile devices. Ucraft, however, has a more limited selection of templates as compared to Squarespace. At the same time, they are more user-friendly and it’s easier to customize them. No coding is needed to design websites with Ucraft. Squarespace, however, allows working with CSS codes to ensure more personalized result. Thus, if you are a newbie focusing on simplicity and decent website quality, then Ucraft works better for you. In case you are a web design pro, who knows how to work with codes, then you might consider using Squarespace. Ucraft. Ucraft knowledge base is rich and informative. This is the place, where newly-registered users can find answers to their questions and solve the troubles they unexpectedly face, when working with the system. Each dashboard element comes with a detailed description for user convenience and time economy. The support team of the service encompasses a live chat, tech support, FAQ section and a Blog. This is where you can read informative articles, tutorials and posts, providing useful tips on how to use the system features. Squarespace. Squarespace customer support is professional and valuable. Whatever web design problems you face when working on a project, you will effectively solve them by using the support section. The system offers 24/7 email support and live chat. As far as Squarespace community is pretty extensive, they are always ready to share their recommendations and tips in the Q&A section.It is also accessible at the website and is regularly updated. Premium Plan users also have access to informative tutorials, manuals and other sources, which provide exhaustive information concerning the system use. Ucraft vs Squarespace. Both Ucraft and Squarespace have quality customer support, which helps solve various system-related issues. They have professional live chat assistance, tech support, blog, multiple tutorials and manuals. It is also possible to visit the FAQ section to have all the questions answered. Squarespace offers more extended customer support services to Premium Plan subscribers. As to the rest of options, the platforms are almost equal, offering decent support services to all categories of users. Ucraft. The website builder currently offers one free plan and five paid plans. A free Landing Page Plan allows building a simple, yet functional and easy-to-browse landing page at no cost at all. It comes with a custom domain and free hosting. This is a nice offer for newbies, who aim at establishing business web presence. Paid options include Website Plan ($8/mo), eCommerce Plan ($16/mo), Pro Plan ($39/mo) and Unlimited Plan ($76/mo). Each of them comes with specific features and bonuses. If you need a plan for personal use, then Website plan is what you need. Other paid solutions work best for eCommerce purposes and, thus, they are more expensive. By the way, if you decide to get an annual subscription, the system will offer you a 20% discount. There is also a free 14-day trial period, which makes it possible to test the entire feature set of any plan at no cost. What’s more, Ucraft has an advanced White Label Solution, which also comes in two plans, namely a Standard Package (works well for individual web designers) and a Self-Hosted platform (the best choice for cloud hosting providers and large web design companies), the cost of which constitutes $5600 and $22000 per year correspondingly. Squarespace. Squarespace doesn’t offer a free plan, yet it also has a 14-day free trial period that grants access to all the features of the advanced plans. As to the paid subscriptions, there are two of them here. These include Websites (Personal and Business) and Online Stores (Basic and Advanced). The cost of the first offer constitutes $16/mo and $26/mo correspondingly. The second paid solution will cost you $30/mo and $46/mo. 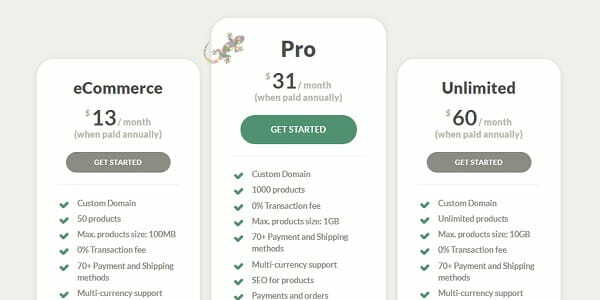 If you are sure that you will further use the chosen plan, you can pay for the whole year to get the discount ($12-$18 and $26-$40 respectively plus a free domain name for one year). The choice depends upon the seriousness of your web design intentions. The more complicated projects you have – the more advanced plan you’ll have to select. Ucraft vs Squarespace. When it comes to the comparison of pricing options, Ucraft offers a more extensive freedom of choice. It has a free plan and five paid options. By choosing the required solution, you can design small-to-large projects (from simple landing pages and up to eCommerce websites). For professional web designers, the system also has a powerful White Label solution that comes with multiple merits. Squarespace also allows building different websites and it can boast an advanced eCommerce offer. The range of plans, however, is a bit limited here, while the prices are higher. Both systems have annual discounts and free trial periods that last for 14 days. As soon as you decide to launch a website for personal or business use, the choice of the right platform becomes a must. The list of website builders you can use for this purpose is quite long, but there are systems, which are worth special attention. Ucraft and Squarespace are the services, which rank high on this list. Each of them comes with its pros and cons users have to consider, when making the final choice. Ucraft allows building small-to-large business websites, portfolios, online stores and landing pages. It comes with responsive niche-specific templates, the choice of which is currently somewhat limited. This restriction is compensated by powerful integrated design customization tools, though. The system doesn’t require any coding skills and it is easy-to-navigate, which is a benefit for newbies. There is a logo editor, free landing page creator and a pretty large selection of customizable widgets. Owners of large companies should also consider an opportunity of using the White Label tool the system offers. Squarespace, in its turn, is a decent choice for web design pros, online retailers and creatives as it offers a rich set of web design tools. The website builder is very flexible and allows integrating your own scripts or editing website code. The platform is somewhat complicated for inexperienced users, but websites created with it have professional look and advanced performance. It is also somewhat more expensive as compared to Ucraft. So, which website builder is the leader of the comparison? It’s hard to answer this question as each service has its fortes and drawbacks. Anyway, it always makes sense to test the features of each system you are interested in. This is a surefire way to decide, which of them will work best for you.